View the full list of community meetings with locations, hours and study areas, or an interactive map showcasing the community meetings with the same information, at www.lavote.net. Los Angeles County Registrar-Recorder/County Clerk Dean Logan announced Wednesday that nearly three dozen community meetings will be held across the region to give residents the opportunity to discuss and give input on potential vote center locations to be placed within their neighborhoods in 2020. The first of the 33 community meetings, which will continue through mid-January, will be held this Friday, from 6:30 p.m. to 8:30 p.m., at the Salvation Army in Compton, 736 E. Compton Blvd. Residents from surrounding communities are welcome to attend, according to Logan's office. The next several meetings will be held Saturday at the Petit Park Granada Hills Recreation Center, 16730 Chatsworth St. at 2:30 p.m.; on Nov. 28 at 6 p.m. at Pacoima City Hall, 13520 Van Nuys Blvd; and on Nov. 29 at 6 p.m. at the Albert O. Little Community Center in Artesia, 18750 Clarkdale Ave., and at the Los Angeles Fire Station in North Hollywood, at 7063 Laurel Canyon. 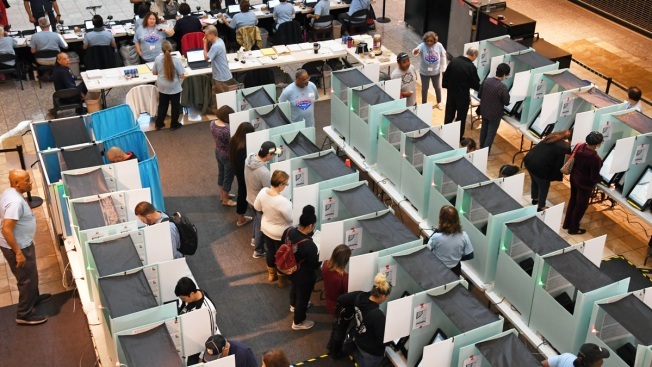 In March 2020, Los Angeles County will implement a new voting model utilizing vote centers in compliance with the California Voter's Choice Act passed in 2016. "Vote centers will offer an 11-day voting period in convenient and accessible locations within the county and allow all voters to visit any site in the county to vote regardless of their residential address," according to the registrar's office.